KP: Are you from Tulsa, OK perchance? KP: I don’t suppose you know of a church called Believer’s Church, do ya? KP: Do you know someone named Anna Saah? Me: Whoa, yeah! How do you know her? She was one of my youth leaders! KP: So your name’s Haley, right? Anna mentioned you while we were in Ibiza. I had been on campus for less than 15 minutes and already someone knew me. Kera Package (KP in the conversation above) had no way of knowing where I was from since we had taken off all identifying tags from my luggage and tubs and I hadn’t actually introduced myself since I’d been caught up in trying to get into my first dorm room. To this day I have no idea how Kera knew, out of hundreds of students she must have helped, that I was the girl Anna had talked about. 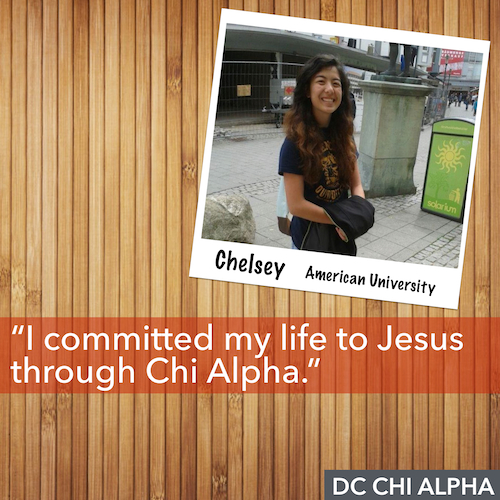 After helping me move in, Kera invited me to some AU Chi Alpha (also known as AUXA) events later that week. I said yes immediately. If my youth leader from back home was friends with this random person, then I knew I could trust her suggestions. So that was my entry into the AUXA world. Yeah, I flaked out on going to a few of the events I had committed to but I also knew that I had an accountability buddy who wouldn’t let me continue to make excuses. 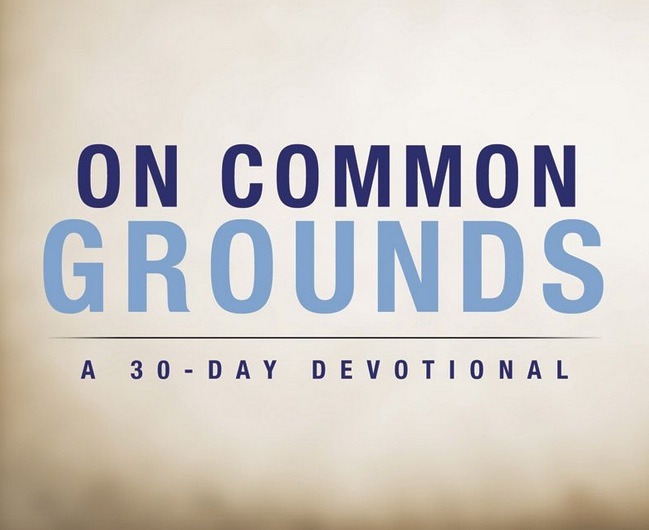 I showed up at AU with finding a church/faith community as one of the last things on my mind so imagine my surprise when I had joined Chi Alpha by the end of my first day on campus. Sometimes all it takes is helping a stranger move some boxes into their new home to create a solid foundation for their college experience. This foundation wasn’t what I wanted, but it must have been something that I needed or else Kera wouldn’t have found me so quickly. So, yeah, I believe in this whole reach the city campaign. I know that those who need to be reached will be since efforts like it reached me when I was super far from home. 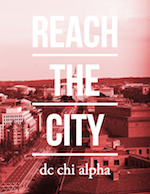 Note: Today is the second-to-last day for our Indiegogo campaign called Reach the City.